As Canadian diplomats criticize the government's response to a series of so-called 'sonic wave' attacks in Havana in 2017, former U.S. diplomat Jay Taylor recalls another mysterious, unsolved attack against his own family in Havana three decades ago. When reports first emerged that U.S. and Canadian diplomats in Havana were suffering brain impairment after a so-called 'sonic attack' in 2017, some doubted the story. Early on, some American neurologists suggested their afflictions were psychosomatic. Even today, experts remain uncertain about what caused their injuries, which included nausea, nosebleeds, and concussion-like symptoms. The Cuban government has denied any involvement in the 2017 attacks, which have had lasting health implications for the diplomats. This week, Canadian diplomats publicly criticized the Canadian government, saying they've struggled to receive support and recognition since the attacks. 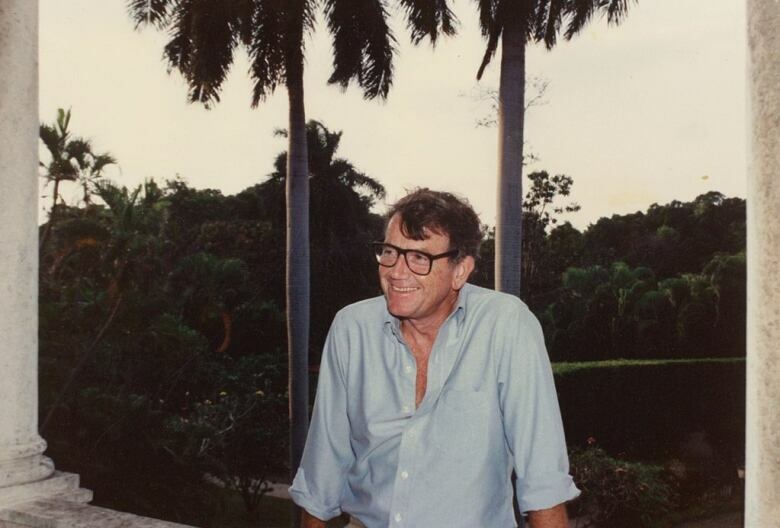 But their accounts rang true to Jay Taylor, who spent three years as the head of the U.S. diplomatic mission in Cuba in the late 1980s. Just a few months into his time there, Taylor says he and his family were targeted in a series of equally mysterious attacks, none of which were ever solved. Jay Taylor described those bizarre events to Day 6 host Brent Bambury. 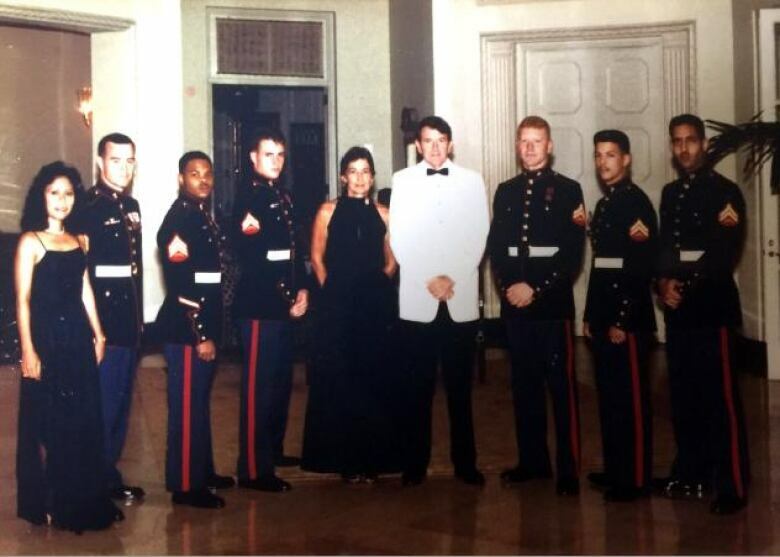 In 1987 you were living at the U.S. ambassador's residence in Havana. What was the first strange incident that you took note of? Well, it was more than an incident — it was really quite dramatic. During Christmas time of 1987, my family was visiting. They were there for Christmas; and so that included my four children, their spouses and three or four toddlers under five. So it was a fairly big group. There were about four or five or six of us in the library. A butler came with a tray of mojitos. And my brother-in-law David and I got a glass, and raised them and said "salud." And just as he raised his glass, it broke in his hands. I've never seen anything like it before. And all the mojito fell on the floor; that mojito was totally wasted. But did the glass make contact with any other glasses or did it simply break while he was holding it? Well, I think we touched glasses but I don't think we banged them together. Normally, you know — we just touched the glass. So this seemed unusual. But did it seem like there was something nefarious going on? No. I thought, 'well, this is probably one of those bad Marxist glasses.' So we went ahead and we had another in a different glass. But then a few days later, there was another one of these incidents. What happened then? Well, it was the next day that my wife was with her mother in the guest room. They were talking and suddenly a vase on one of the dresser drawers — suddenly they heard 'crack' and this vase broke. I don't remember if it had water in it or not, but it probably did; they were probably putting flowers around. 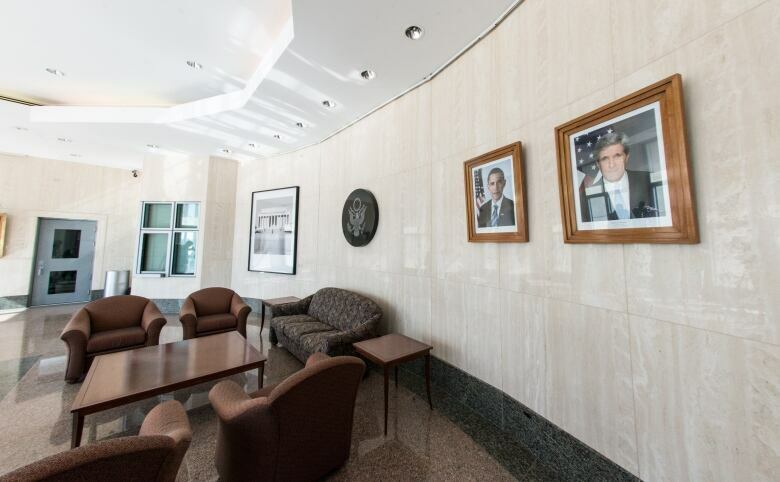 So I went immediately that day to the Cuban foreign ministry and talked with the head of the American section. But then after you after you started this investigation there was another incident. What happened the third time? The third time was maybe two or three days later. That day my daughter Laurie's three year old son Miles was brushing his teeth. And then he rinsed his mouth out and the glass broke in his hand and cut his lip. So there was no doubt in your mind, then, that these three incidents were the result of a targeted attack? It couldn't have been otherwise. I mean, something like [that happens] maybe in 10 million years. Something like that, accidentally? It was absolutely clear that they were related attacks. You'd been in Havana just for a few months at this point in 1987. Had you experienced intimidation or surveillance or any other interventions from Cuban officials before these incidents? We knew that they were watching me. They were not really openly harassing me, but they did openly harass some of the members of the staff. They would follow them, for example. When they walked out of their house, they would get behind them and walk. And then if they went in the church they'd go in the church and sit behind them. U.S. State Department officials did search the official residence in Havana shortly after these incidents. Did they find anything unusual? No, nothing. Because they're able quickly to send a team in to take out all of the listening and transmitting devices. The staff there, for example the butler who had brought the mojitos, he was probably — we guessed — a colonel in the intelligence. The butler who had the mojito glass? Right. They all reported to the intelligence on things they saw. He probably was an officer in the intelligence. It's been 30 years since that mojito glass shattered in your brother-in-law's hands. 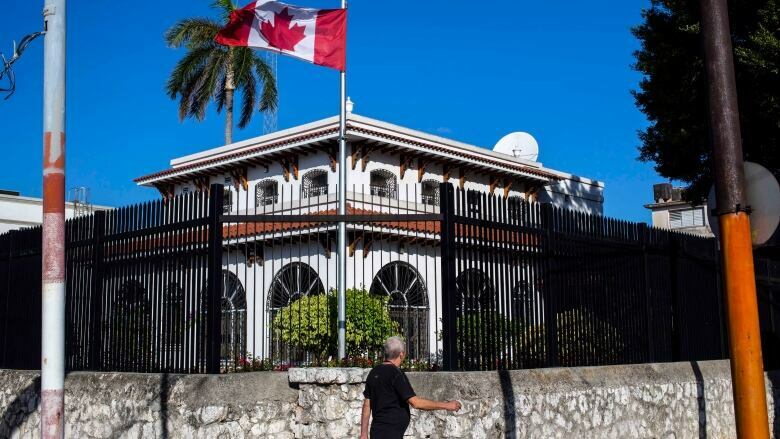 And now government officials and experts are puzzling over another series of thus far unexplained attacks against Canadian and American diplomats in Havana. How much of a parallel do you see between then and now? Well, I think a distinct parallel. One parallel is that when I was there, U.S.-Cuban relations were on the eve of making some big steps forward. And so the Cuban government had a strong interest in not disrupting this relationship. Somebody within the government might have wanted to send a different message to agents of the United States such as yourself? That's right, and generally in the world. The later ones that have just occurred regarding the Canadian colleagues is also during a time when U.S.-Cuban relations were moving forward, with the establishment and normalization of diplomatic relations. But otherwise, I'm thinking Russia. Because what they've done now is something that no one can figure out the technology. Do you believe some kind of Cold War-era technology was used to attack your your residence in 1987, and could that be related to the technology that might be being used right now? But what do you imagine the technology was? It seemed imaginable to me that it was just a strong microwave, and they had cameras. They were just across an alley — maybe 50 yards or less. And our house also was embedded with hidden cameras as well as audio. Did any members of your family or staff experience headaches or physical trauma, or nosebleeds or any of the symptoms that we've heard described by the people who have been under attack more recently? No, not at all. So I take that to have been the result of maybe increased technology. But also a result of the fact that they were specifically probably told — back when I was there — their objective was not to physically cause health problems. But now they're aiming at the brain instead of at their mojito glasses. Do you think the investigation into these more recent attacks will shed light on what happened to you and your family 30 years ago? Yeah I think so, it's bound to. With all this going on, something will show up eventually. This interview has been edited for length and clarity. To hear the full interview with Jay Taylor, download our podcast or click the 'Listen' button at the top of this page.